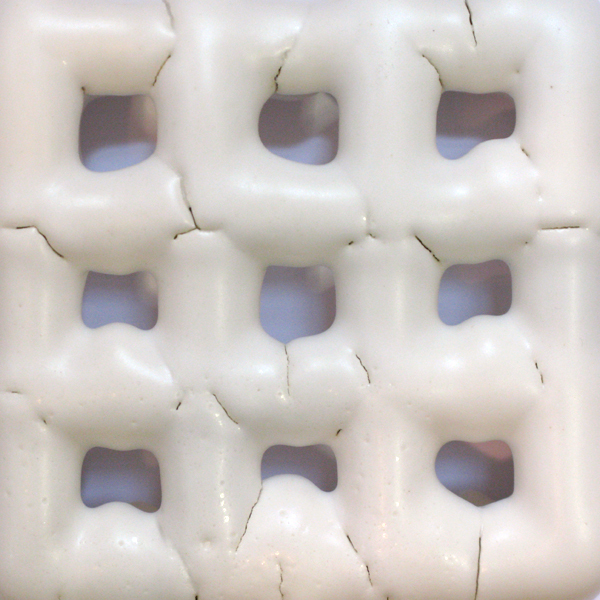 Cmesh™: A Ceramic medium with metal skeleton structure. Cmesh™ was developed through an experimental artistic process, inspired by a concept of Alchemy to combine materials of little value and create something of great value. 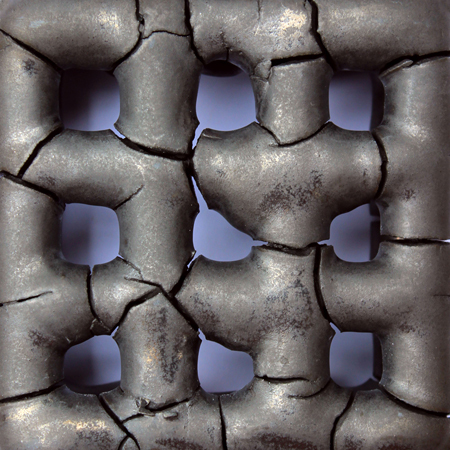 Clay and metal, normally incompatible materials, were combined in numerous ways and tested extensively until the material process was developed and refined. 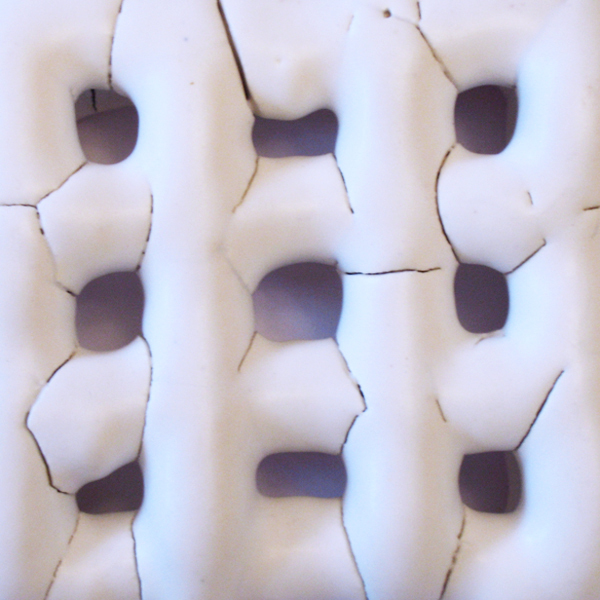 Each piece begins with metal wire manipulated into a form, which is then repeatedly dipped into liquid clay or Slip. Depending on size, shape, and desired texture, each form is dipped between 6-8 times. Many factors influence surface details, such as room temperature, humidity, moisture content of the clay, and the timing of each dip. These factors are not rigidly controlled, allowing each finished piece to be unique with subtle variations occurring naturally from the creation process. Once a form is complete, each piece is fired in the traditional manner of ceramics. The entire process can take 2-3 weeks from start to finish. Each finished piece has physical and material characteristics of traditional ceramics with distinctive aesthetic and formal qualities. Custom shapes and sizes can be made with certain limitations. Currently, a single form can be up to 24"dia. x 24"h or 16"w x 24"d x 30"h.
Larger finished pieces can be made by combining multiple components. colors may appear different in person.